Exhibition at Art Images Gallery, Adelaide. ‘Substance’- group exhibition at Without Pier Gallery, Melbourne. ‘Closer’ - solo exhibition at Fehily Contemporary, Armadale. ‘Pushing the Sky’ - curated group show at Horsham Regional ArtGallery. Exhibition at Stony Creek Gallery, Daylesford. Solo show at The Goat Gallery, Natimuk. Yering Station sculpture exhibition and awards. ‘Regional Forces’ - curated group show at Horsham Regional ArtGallery. Deakin small sculpture prize and exhibition. Manyung Gallery, MtEliza - new sculptures. Without Pier, Cheltenham - new sculptures. Kirra Gallery, Federation Square - Winterlight exhibition. Group show at Wintergarden, Geelong. Without Pier, Cheltenham - new works. Kirra Gallery, Federation Square - new sculptures. Wishart Gallery, Port Fairy - solo show. Kirra Gallery, Federation Square – ‘Glimpse’. Manyung Gallery, Mt.Eliza - ‘On the Wing’. Bark Modern Art, Hong Kong. Convent Gallery, Daylesford - ‘In the Jigs’ new works. Convent Gallery, Daylesford - ‘Ironfool’ solo show. Convent Gallery, Daylesford - ‘Shapeshift’ solo show. South Dublin County Council headquarters, Dublin - solo show. Rialto Plaza, Melbourne - Sculpture Open. RHA Gallagher Gallery, Dublin - International sculpture Triennial. 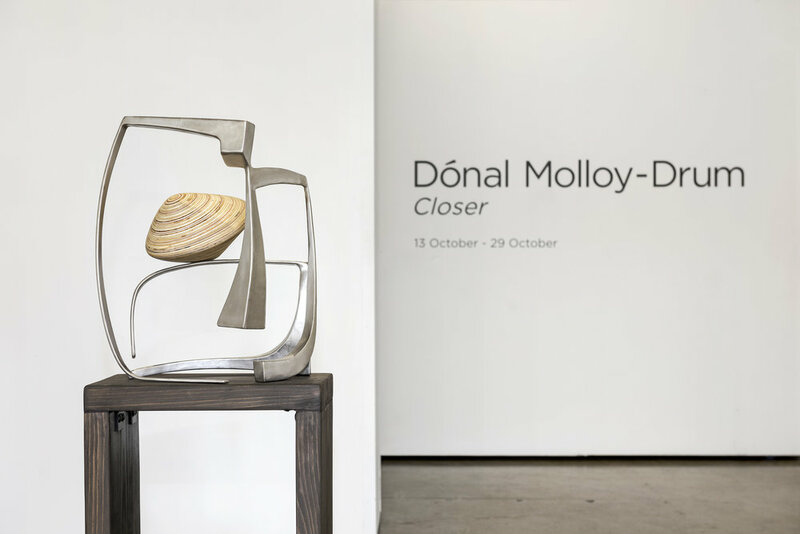 Crawford Gallery, Cork – ‘Sade’ group show. Finalist - Yering Station sculpture awards and exhibition. Finalist - Toorak Village sculpture exhibition. Finalist - Montalto sculpture prize. Finalist - Kirra Gallery illuminating glass award and exhibition. Winner - Yering Station : Fehily Contemporary Sculpture Award. Winner - Yering Station : People’s Choice Award. Finalist - Deakin small sculpture prize. Finalist - Toyota sculpture prize. Finalist - Mission to Seafarers annual art prize and exhibition. Included in the peoples choice award and exhibition. Commissioned to make a public artwork to commemorate BlackSaturday fires for Horsham Rural City Council. Completed an Artist in Residence program at Rupanyup PrimarySchool. Commissioned by Horsham Rural City Council to make ‘Arial’ apublic sculpture at Jos Lane, Horsham. Completed a public sculpture for Childrens Memorial Garden atHorsham cemetery – funded by Regional Arts Victoria. Completed two artist in residence programs at Donald HighSchool. Completed public sculpture ‘Round Here’ at Tallaght CommunityArts Centre. Completed two public sculptures ‘On the Rails’ in Tallaght and Clondalkin, Dublin – commissioned by Clondalkin Business Enterprise.